Let us introduce you the Tabitha mid-rise skinny jean from J Brand. The lacquered, zipper detailed, moto chic pant from J Brand is stylish and comfortable. The moment the Tabitha jean arrived Grace, the lead stylist and buyer from Ambience, called to say they are amazing and more importantly comfortable. Seldom does does one put lacquered, and uber soft in the same sentence but leave it to J Brand to pull off this design miracle. 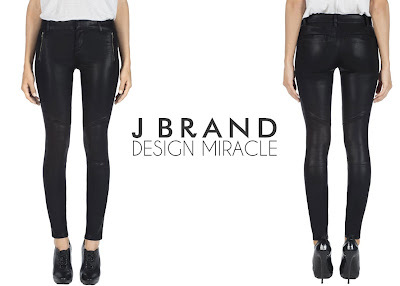 Add these J Brand Tabitha moto skinny jeans to your wardrobe and you will instantly update your look.